Given its location in the center of Europe, the Czech Republic is known for its beautiful and impressive architectural sights. The country is the castle capital of the world. Over 2,000 of them are in the country today! The majority of them have been well preserved throughout the centuries and, moreover, they are usually surrounded by forests or amazing gardens, fountains as well as sculptures. Prague is the fifth most visited city in Europe. More than 10% of the total population of Czech Republic lives in Prague, the capital of the country. Prague is well known for its beautiful Old Town Square, museums, along with many theatres, galleries, cinemas, and other historical exhibits. Also, it is home to a wide range of public and private schools, including Charles University in Prague, the oldest university in Central Europe. Your Czech au pair is likely to have one sibling. Because of the small size of a typical Czech family, the birth of a child is a special event! Although fathers are usually the heads of families, mothers exercise authority over young children. Czech children are taught to be orderly, hardworking, practical, and egalitarian. The second language is usually German, but English is taught at an early age. At elementary schools 87 % pupils learn English, at grammar schools 100 % and at the high schools with vocational orientation 74 %. Education in the Czech Republic is free and compulsory from ages 6 to 15. Higher education consist of public, state (police and military) and private universities. Study at public universities is unlimited and free (for education made in Czech language and first time attendants), but after the age of 26, the attendant will not receive the student status from social services and state would not pay his health insurance if he continues studying. Many Czechs will use public transportation if they live in Prague, as an extensive modern public transportation system connects the city. Contact us to submit an application or get answers to your questions. In 2014 I volunteered in special education Unit with children 4-7 years old, I assisted the teacher during classes and helped the children with their activities. Between 2014-2015 I did an internship in a hospital with children 4-17 years old, I interviewed children, evaluated children, identified behavioral issues and diagnosed disorders. In summer 2014, I took care of Daniel (5), I planed activities for him and entertained him. In 2018 I was responsible for Manuela (1). I bathed her and prepared meals for her. Between 2015-2016 I took care of Guadalupe (4). I played with her, prepared meals for her and supervised her. In 2017 I babysat Aranza (6 months). I played with her, prepared meals for her and bathed her. In 2017 I took care of Paula (3), I taught English her. In 2018 I was responsible for Isabella (9) and Elvis (7), I helped them with homework and prepared meals for them. I want to improve my English and have a cultural enrichment with an American Family to enhance my psychologist profile. With my experience in many areas and kids with vary of ages and conditions, I feel can provide very good assistance to my future host kids. More important, i love kids and i always have been surrounded by them because of my family and personality, my goal is to make you feel you have another member of your family just as reliable as an older daughter. I am first aid certified. I volunteer in a school for kids with special needs and I work in a hospital as therapist for hospitalized patients. I watched Vanessa (5) from March 2010 to August 2014 three times a week. During this time, I fed her, bathed her, and played with her. I babysat Miranda (1) from May 2015 to September 2015, five times a week, where I fed her, bathed her, and took care of her. From March 2016 to July 2017, I would help Juan (2) with his homework three times a week. Lastly, from February 2017 to October 2017, I watched Victoria (2) on weekends and played with her, fed her, and bathed her. Reading, listening to music, dancing, photography, makeup, travelling, swimming, and volleyball. I want to be an au pair to improve my English, to know new cultures and spending time with kids. 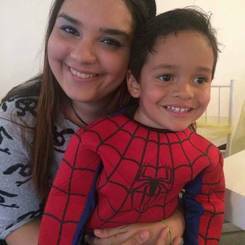 The idea of being au pair has been very attractive because when I live in another country I do activities that I like very much. I have looked after children since I was 15 years old, I like to teach them different activities, and encourage them to learn new things. 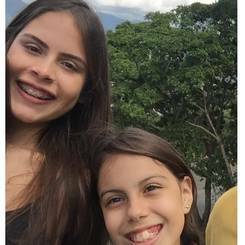 I also want to be an au pair to know, learn and continue growing in a culture like the American where I can develop my English skills much more and I can share a bit of my culture and as a chef share more of the gastronomy of my country and learn from the American gastronomy. I am a very responsible person, loving, mature at the time of taking care of children, I like to share my time with them, and I hope this experience to learn a lot from children and that they can learn much more of me. I watched Emma (5) from April to December 2016, three days a week. This included bathing, feeding, helping with homework, and playing various games with her. I also watched Arnaldo (1) and Jose (2) from July 2014 to August 2015 for five days a week. This included bathing them, feeding them, dressing them, playing various games, and putting them to bed. From September 2017 to January 2018, I babysat Liah (5) three days a week. This included helping with homework, feeding, bathing, and playing games. I watched Fabian (1) from January to March 2018 twice a week, doing things such as changing diapers, feeding, and playing. Lastly, I babysat Aron (3) and Antonella (7) from January to July 2017 for three days a week. This included feeding them, bathing them, teaching them, and playing different games with them. Baking, cooking, traveling, exercising, watching movies, listening to music, meeting new people, learning new things, spending time with friends and family, playing volleyball, swimming, and watching basketball and baseball. I don't only see this program as a form of personal growth since I'll be away from my family but also as a great opportunity since children for me are very important and I love being surrounded by them because they make me feel happy and teach me to see the world in a different way. 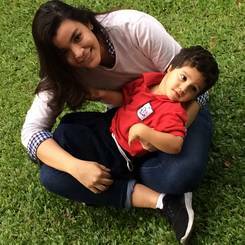 Being an au pair I'll have many new experiences and being part of a new family excites me a lot. 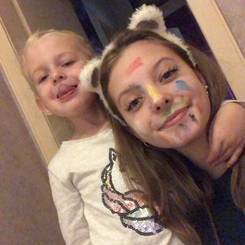 Learning and speaking a new language has always been my dream and as an Au pair I'll be able to fulfill it by doing many other things that I'm passionate about. I consider myself qualified because I've learned a lot during the time I took care of my little cousins, the children of my neighbors and friends, and also attended two different nurseries. Every day there were a different challenge with the babies and the biggest ones (3-5 years old) therefore that experience prepared me very well for this program. I'm also very independent with household chores, making decisions and I easily adapts to new surroundings, I'm observant, responsible and dedicated person. I watched Isabella (1) from June 2012 to 2018 for 25 hours a week. 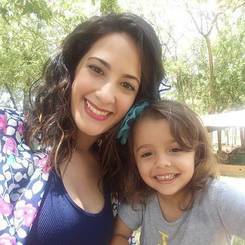 I prepared snacks for her, changed her diaper when she was younger, helped her with her homework when she was older, entertained her, and took care of her. I also babysat Mery (1) and Sophia (3) during this time for 12 hours a week. I would prepare snacks for them, play with them, change them, and help them with their homework when they were older. 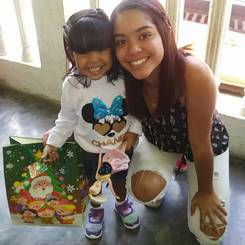 I also volunteered in a daycare center from April to June 2018 for 50 hours a week. The children here were ages 1 to 6 and I was responsible for caring for them, managing their drop-offs and pickups, creating activities for them, and entertaining them. Playing rugby, cooking, reading a book, watching movies, soccer, swimming, and volleyball. 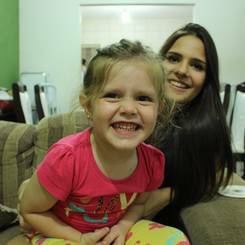 I'd like to be an au pair because I think it is a very good experience that not only gives me the opportunity to be better in the English language but also gives me the opportunity to learn a new culture, meet new people, and live with a family outside of mine where I'll learn their customs and taste how they are as a family. I decided to choose the United States as my destination country because I think that the English language is a very important language since it is a universal language with which I can communicate anywhere in the world with. Between 2016-2019 I cared for Lina (6) and Ines (6), I red them, showered them and put in bed them. Between 2018-2019 I I took care of Selma (2) once or twice per months. I bathed, played, walked with them. Since 2019 I care for Waffa (1month) every weekend, feeding her, bathing her, putting her down for nap. Since 2017 I care for Lina (1.5) every weekend, feeding her, bathing her, putting her down for nap. Between 2016-2018 I took care of Seryna (10), Zine (9), Brahim (8) and SaÃ¯d (5) every day for a month and then occasionally, I helped them with homework, prepared meals for them and played with them. Acting, going to the movies, dancing, going to the gym. I want to discover a new country, a new culture and learn the language while linking pleasure and work. I donât think Iâm any better than anyone else, but one thing is for sure, my career has allowed me to become more mature and more responsible. In addition, I have taken care of children, I would meet the needs expressed or not by the children and especially I would take care of them. I babysat Matias (7mths) from February 2017 to November 2018 on weekends for 6 hours each day. I made lunch and snacks for him, played with him, and put him down for nap time. 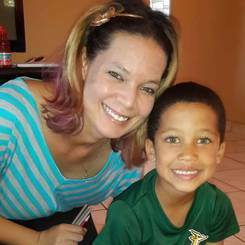 For 6 months in 2015, I watched Julian (6) on weekdays for 4 hours doing outside activities like riding bikes or playing soccer, helping him with his homework, and cooking food for him. From April to December 2014, I babysat Isabella (3) on weekdays and would take her to the park, help her with homework, and make food for her. From December 2010 to November 2011, I babysat Valentina (1) on weekdays. This included making her breakfast and lunch, playing with her, and putting her down for a nap. From January to June 2015, I taught French to a group of children ages 4 to 6 years old for 4 hours each Friday. In addition to teaching them French, I also fed them and supervised break and play time. I did this again from July to December 2015 only this time with a group of children that was 9 to 11 years old. Additionally, from January to June 2016, I taught a group of teenagers French, ages 15 to 17 years old on Saturdays. Reading, cooking desserts, doing nail art, doing hair, ecological walks, and soccer. 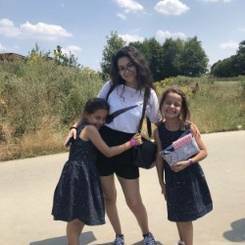 I would like to become an au pair because I love working and sharing with children and I've developed the proper approach for helping them express themselves and communicate freely. I'm patient, have assertive communication skills, am creative, and confident. Because I am a teacher, I have learned how to teach in a proper way not only in my native language but also in French and English. I have all of my languages certified. Also, I love to practice art activities and food creations with children. I babysat Leon (3 mths) from March to June 2017 for 4 days a week. I was in charge of bathing him, entertaining him, and taking care of him in general. In January 2018, I started helping in the kindergarten where I studied as a child. I helped the teachers with the babies ages 1 to 2 years old where I changed diapers, helped them eat, sang songs, ad created dynamic activities where we encouraged their learning and healthy growth. In July 2018, I switched to working with children age 2 to 3 years old at the kindergarten until September 2018. I typically worked there for 5 days a week. Finally, I have watched my cousin Alejandra since she was 8 years old for about 3 days a week around December 2015 to 2017. I was in charge of supervising her, helping her with homework, and entertaining her. Listening to music, spending time with family and friends, watching TV series, dancing, painting, reading books, and swimming. 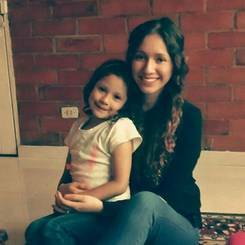 I want to be an au pair because I think it's a unique experience where I will be able to learn many things for my future and personal development. In addition, I will be able to live a different lifestyle from mine while I work with children which is something that I enjoy a lot. I am an optimistic person, I always take the best of the situation, and I am also honest, responsible, and patient. I am certified in first aid and I can also teach math, dance, and Spanish. In 2015-2016 I was taking care of Katarina (1) twice a week for 8 hours. I was changing her diapers, give her baths, preparing her bottles, reading stories, etc. In 2016-2017 I was responsible for Alice (3) every day of the week of 7 hours. I would make her breakfast and lunch, driving her to activities, help with her learning, give her batch, etc. And in 2017-2018 I was looking after Alicia (9) and Edu (10) every week day for 6 hours, preparing their meals and snacks, doing activities with them, playing games, etc. I want improve my English and know a new culture. I am a person who has always liked and had contact with children. In my opinion, they are contagious and wonderful. I am very patient, dedicated, creative and willing. I feel that I am prepared for the challenge of becoming an au pair.